If you are stuck on what to buy for your loved ones on Valentine's Day, a gift basket is always a hit. I recently received this gorgeous Valentine's Day Appreciation Gift Basket from Broadway Basketeers. It comes filled with some some of my favorite goodies. 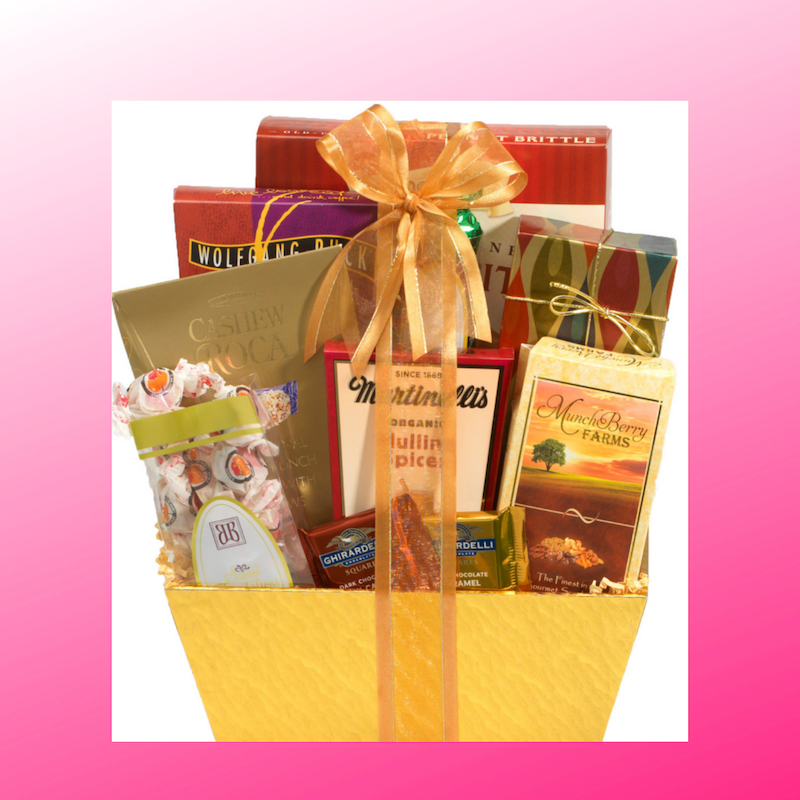 From peanut brittle to Ghiradelli Chocolates to Wolfgang Puck European style coffee, this beautiful yellow basket was filled to the brim with delicious treats. Perfect for Valentine's Day! I love receiving gifts in a basket. I can upcycle the basket or container and add style and decor to my home. Make sure to check out all the Valentine's Day items and order your favorite today!